A trip to the world famous, award winning Sabi Sabi Private Game Reserve will always be the experience of a lifetime. The excitement and luxury are some of the reasons you want your adventure to begin as quickly and seamlessly as possible. Sabi Sabi has long offered our exclusive 3 night fly-in safari packages in conjunction with Federal Air. Your journey begins at the charming Federal Air check in facility (situated close to O R Tambo International Airport, Johannesburg) - a delightful departure lounge with comfortable seating areas and garden where you can enjoy complimentary snacks and drinks while awaiting your departure to the unspoilt bushveld. A quick and easy flight whisks you to our private runway, where you will be welcomed by Sabi Sabi Rangers, ready to take you to your lodge of choice….and immediately the game drive begins. The fly-in packages offer exceptional value, including daily return or one-way flights to Sabi Sabi, and a 3 night all-inclusive luxury stay at one of the 5-Star lodges. Sabi Sabi also offers 4 night combination packages, which are tailored for you to experience two sensational lodges during your stay, with only one check-in and check-out required. 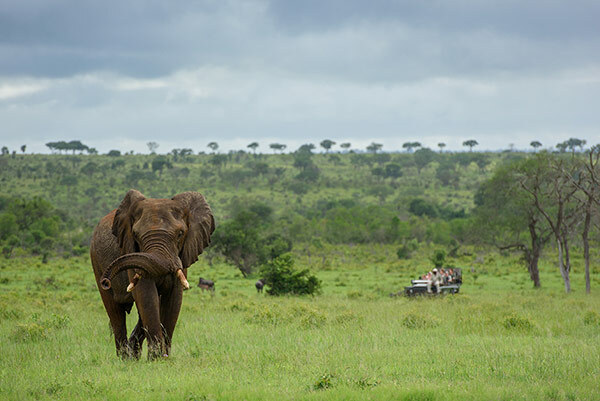 A 3 or 4 night visit is the ideal length of time to fully enjoy a visit to the bush, so the choice is yours, a fly-in safari or a combination package. These packages include spectacular all-suite accommodation, exciting day and night open vehicle safaris with one of our highly trained rangers and Shangaan trackers to see Africa's big game including the Big 5, delicious cuisine, selected local beverages and an environmental awareness walking safari. And of course, there is the added pleasure of the smiles and warmth of Sabi Sabi's staff with their legendary African hospitality and world class service. The 3 night fly-in packages include either return or one-way flights. Only a limited number of aircraft seats for these packages are available on each flight, so it is worth booking early. Contact Natalie@amgltd.biz for info. The 3 night fly-in packages include either return or one-way flights. Only a limited number of aircraft seats for these packages are available on each flight, so it is worth booking early. Contact our reservations department on +27 (011) 447-7172 or e-mail res@sabisabi.com to request further information.